Thinking about launching a WordPress site? Not sure if you want to hire a professional web designer or buy a WordPress theme? What about a nice cocktail of free WordPress themes for any kind of project, all collected together in this blog post? Will these freebies brighten your mood? We are sure they will. So, let’s have a quick overview of what we’ve got here. Below you’ll find free WordPress themes for sport, magazine, business, portfolio, e-Commerce store, restaurant and other websites. All of them have been developed by reputable companies and are highly rated by users. We tried our best to pick out only the most beautiful free WP themes that you can use right out of the box. However, if you know something about WordPress and themes customization, you can do whatever you want with any free WordPress theme you might download. Experiment with its color schemes, upload your photos and content, replace the company logo with your own, fine-tune the slider and change the default fonts. In brief, add a personal touch to your free WP theme and you’ll get a stunning WordPress website that will stand out from others. It’s a fact that when it comes to WordPress, the word “impossible” doesn’t make sense. So, let your imagination run wild. Creativity is a great way to success and we hope that you will make a go of it. 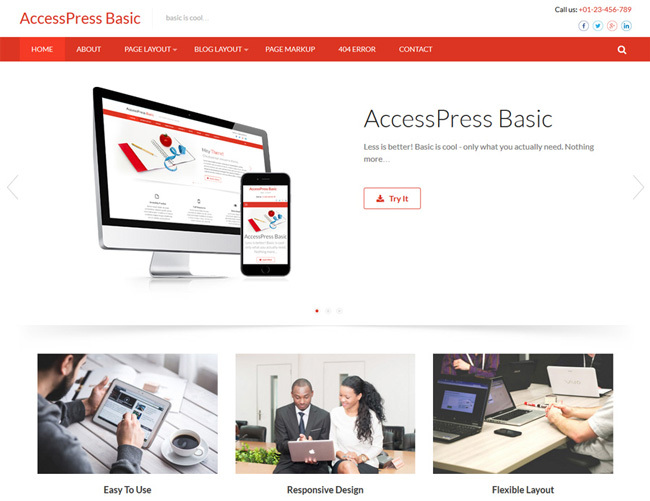 This free responsive WordPress theme is built with the CherryFramework 4.0 framework, an open source WordPress theme framework with a modular structure. 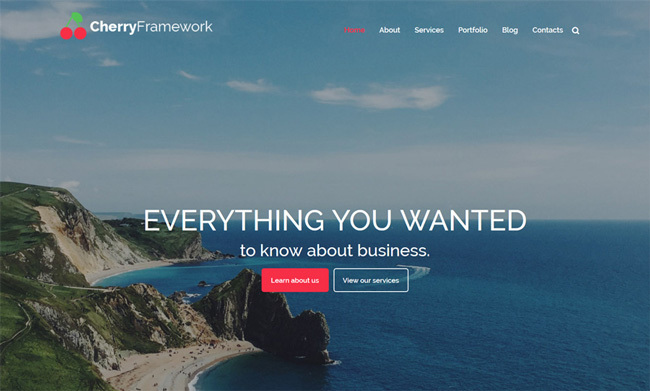 The theme is beautiful and feature-rich and is enhanced with a parallax scrolling effect, but the main question is what is so special about Cherry Framework 4.0. Cherry Framework 4.0 was designed to fit the needs of both developers and end users. That’s why depending on your skills level you will find many useful options for setting up your WordPress website. 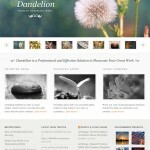 This free WordPress theme apt for photographers is developed by TemplateMonster. It utilizes a lazy loading technique to optimize the load time of your site and parallax effect to make it feel more dynamic. Powered by Bootstrap and Cherry Framework, this responsive theme is supplied with a fixed menu, full-width slider, sketchy icons, social media options, subscription form, and much more. 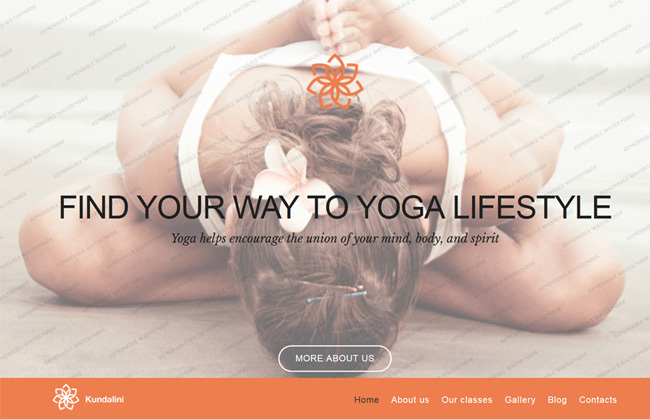 This free WordPress theme has been developed for yoga studios and sport clubs. The main menu of the theme is situated in a lower position on the page, but it sticks to the top of the page when you begin to scroll. Kundalini provides users with a set of cool features. It is responsive and animated with HTML plus JS. 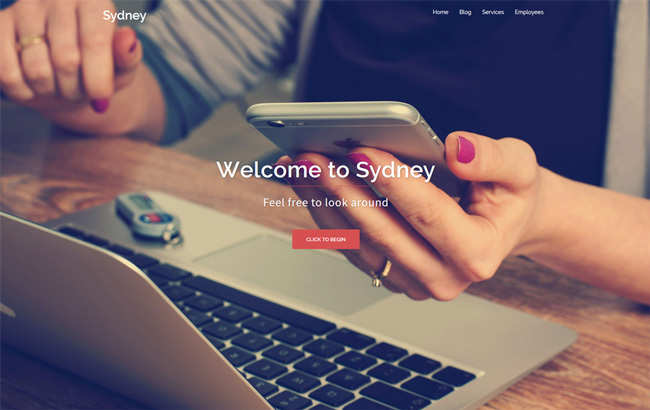 Sydney has been developed for business companies. It gives the owner plenty of customization possibilities like access to all Google Fonts, full color control, layout control, logo upload, full screen slider, header image, sticky navigation and much more. Apart from that, Sydney provides all the construction blocks you need to create an attractive front page rapidly. 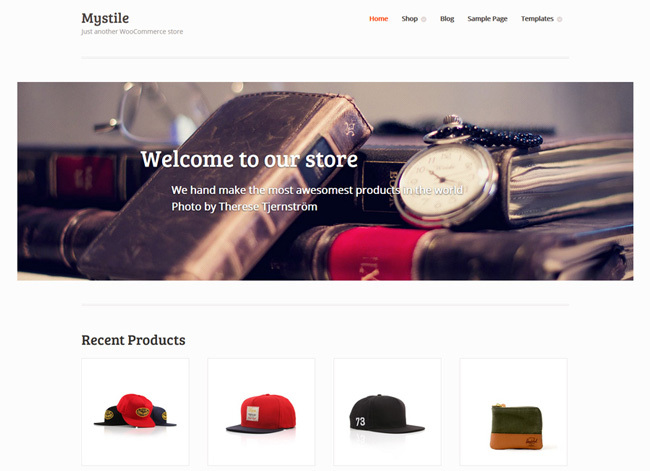 Mystile is an extremely clean, lightweight WooCommerce theme. It is designed as a canvas, meaning that you can use it as it is or easily create a unique design if the default one doesn’t match your products. The theme is responsive and is delivered with plenty of options and alternate color schemes. 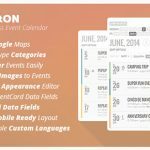 Photolab is a mobile-friendly WordPress freebie meant to build blogs, online magazines or any other informational resources. Its clean, content-focused layout is designed in the flat style and spiced up with dynamic parallax and hover effects. The theme is notable for a page-wide slider, fixed navigation, video integration, and tag cloud in the footer. The theme meets the requirements of artists, photographers, designers and people of other creative professions. 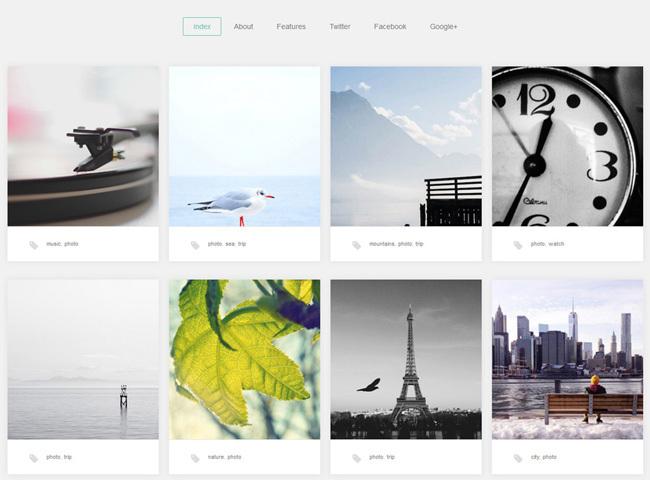 The layout of the theme is image-focused to showcase your projects in the best possible way. 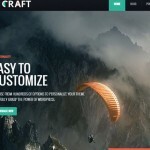 Portfolio loads fast and animated effects bring your web page to life. Nice typography complements the images. Social media links, icons and share buttons provide easy site sharing across the web. It is responsive and easy to customize via Theme Customizer. This is a clean responsive theme supplied with a beautiful slider, Narrow and Wide Layout Option, 10 Social Icons and 3 page templates (Full width page, Left sidebar page and a Blog page Template). Asteria Lite allows you to design your site logo with 600+ fonts. It has a Maintenance Mode feature, Custom CSS feature, Import/Export and is fully compatible with WooCommerce and Contact Form 7 Plugin. It comes with Ajax pagination which means that you can navigate through posts without page refresh. The theme is SEO friendly and has plenty of user-friendly options. 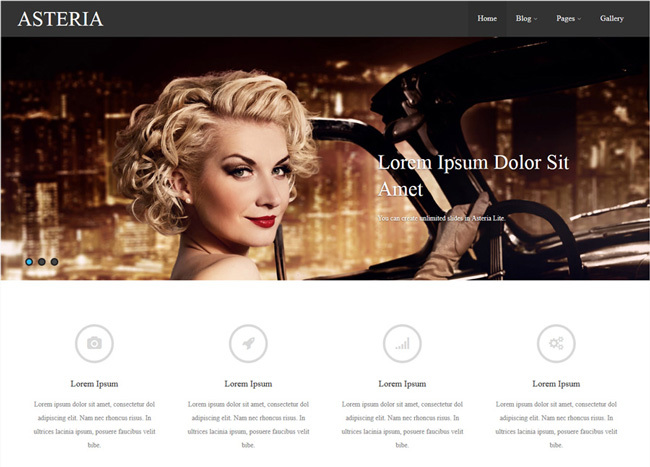 Use Asteria Lite for any type of website – corporate, portfolio, business, blog, etc. 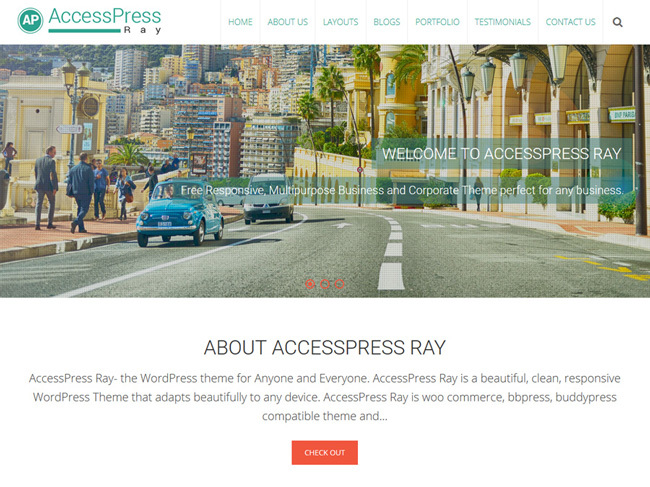 This is a clean & modern WordPress theme. 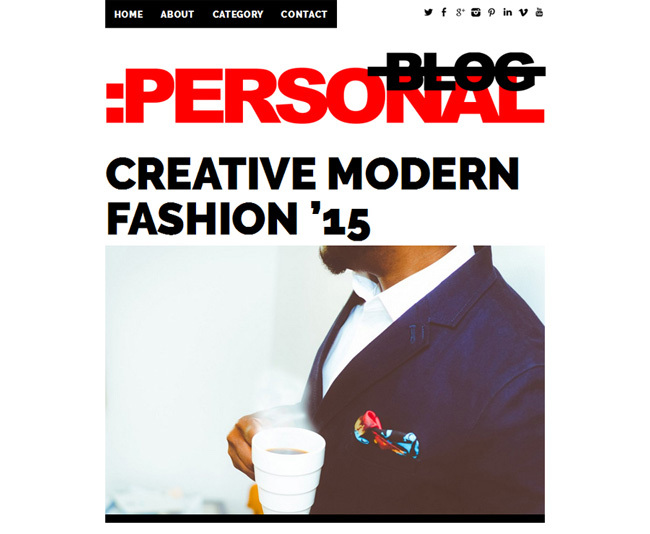 It is a perfect fit for a newspaper, editorial, online magazine, blog or personal website. 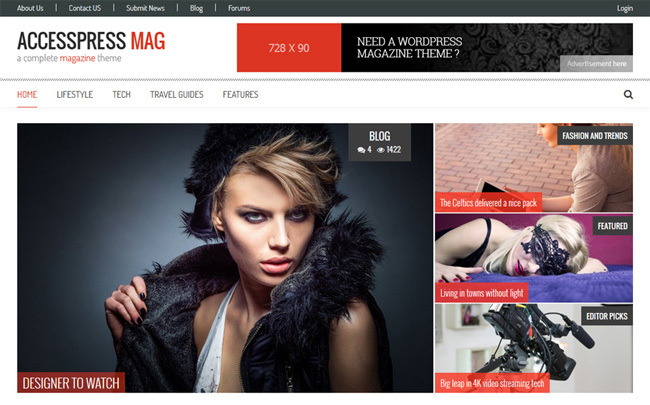 This cutting-edge, feature-rich free WordPress theme is fully-responsive. Its features include: 2 post layouts, author’s block, large featured images for page/post, social media integration for wider social reach and others. The theme is simple, basic and clean. It is responsive and has a beautiful design great for business websites. It is packed with features for quick set up and smooth operation. The theme is crossbrowser compatible, SEO friendly and so on. It has no features that you’ll never use. 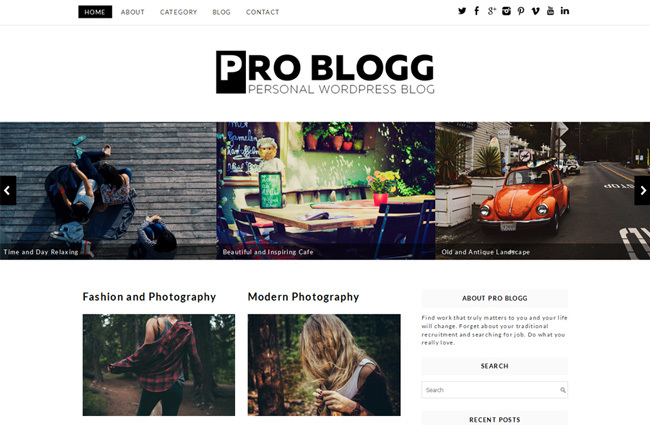 This free blogging WordPress theme has a minimalist layout optimized for both desktops and portable devices. Fixed to the header, menu items and social icons always stay in view while page scrolling. The theme is compatible with modern browsers and utilizes modern web techniques such as XHTML and CSS. 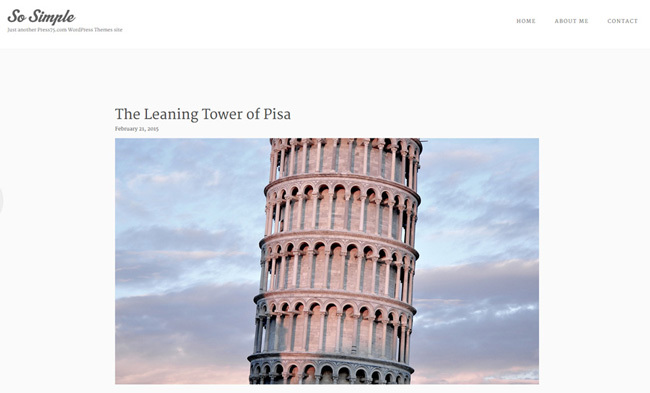 This beautiful, clean, responsive WordPress theme is designed for everyone. It is compatible with WooCommerce, bbpress, buddypress and is translation ready. The theme has such multipurpose features like different page layouts, portfolio, testimonials, gallery, blog and social media integration. Configure this theme with its extensive admin panel, it will be easy and fast. A good free option for lawyers and legal companies. With its clean and valid code the theme is easily editable by any person with limited HTML/PHP knowledge. 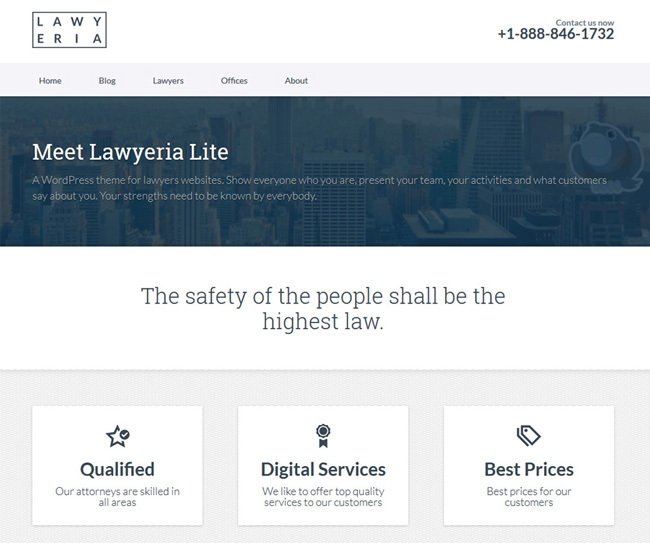 Lawyeria Lite performs well in all major browsers. If you are not an experienced developer, you can still easily update website settings like: logo, social links, colors and layout from an easy to use interface which will guarantee a fun ride through the Theme Options Panel. The theme is localized, so you can easily translate all the text, without any modifications to the source code. 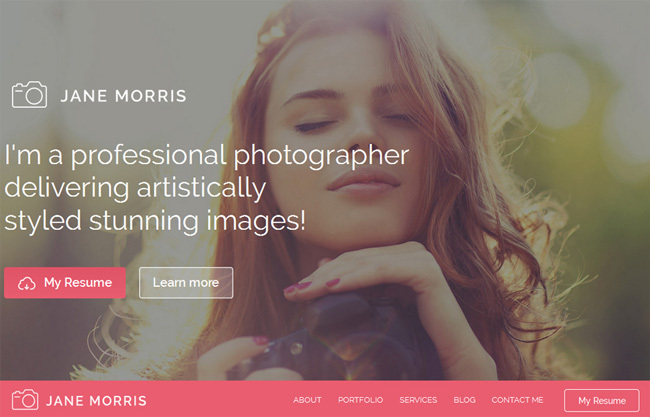 Here is a responsive photographer WordPress theme built with jQuery, HTML5, CSS3 and LESS. Visually, its pixel-perfect design is remarkable for a contrasting color scheme, elegant slider, and readable typography. 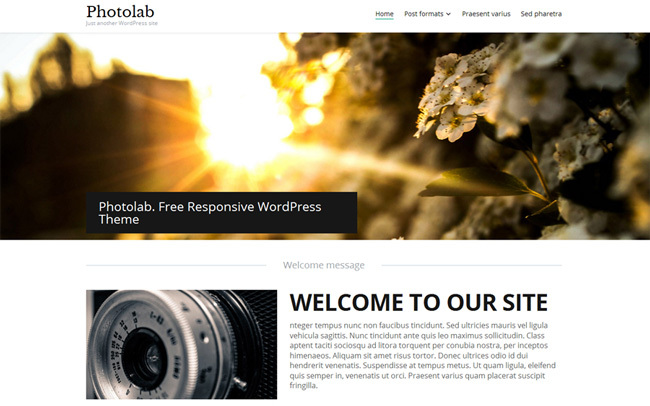 As this free theme is WPML-ready, you can localize your site with ease. 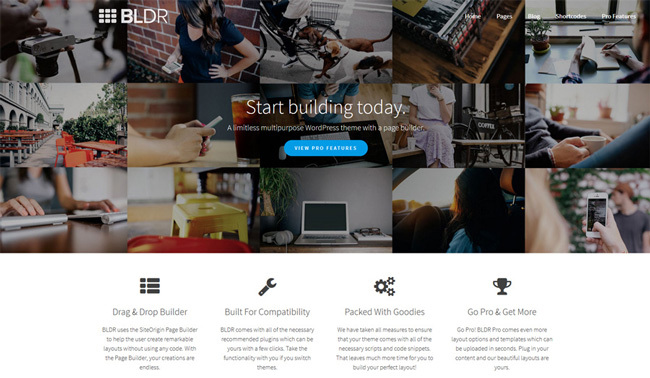 This is a multi-purpose WordPress theme with a page builder. You can use it to build any type of website. 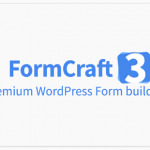 It supports all major browsers, is SEO oriented, has unlimited color options, responsive framework, Google fonts selector, XML sample content and many other cool features. 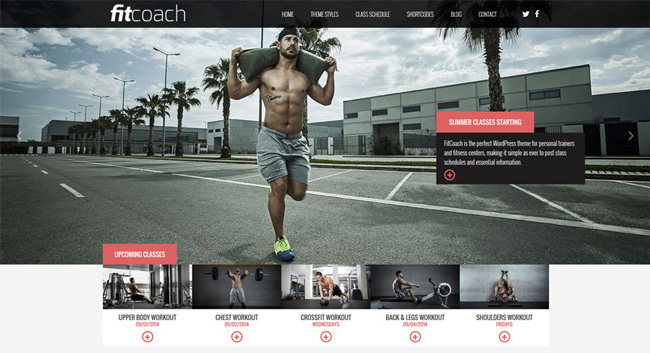 The theme is best for fitness coaches or any kinds of sport websites. It has a professional look, appears correctly in all modern browsers and on all popular mobile gadget screens. It is coded to work with your content and encourage good SEO rankings. The theme comes complete with a selection of fonts from the Google library. This allows you to change them easily right in the back-end. If you want your website to look just like this demo, a sample XML file is included for you to upload after you install the theme. The So Simple theme has been created for those looking for something different. Theme developers have eliminated all unnecessary elements, so the theme allows you to focus on beautiful words and images. So Simple is designed in minimalist style, providing a distraction-free writing and reading experience. 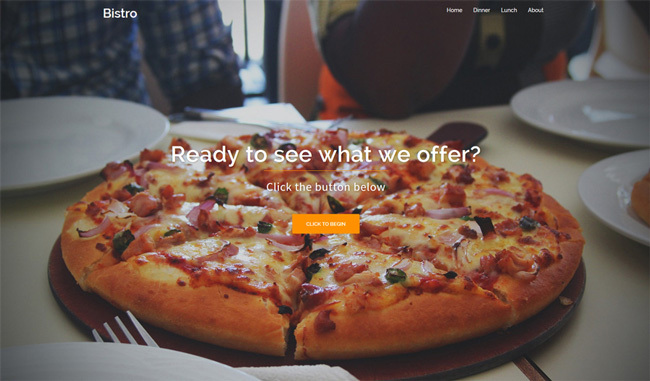 Bistro will help you build a great website for your restaurant. Built-in support is provided for the Restaurant plugin so you can easily create your menus. The impressive full-screen presentation of dishes will produce a mouthwatering effect on website visitors. 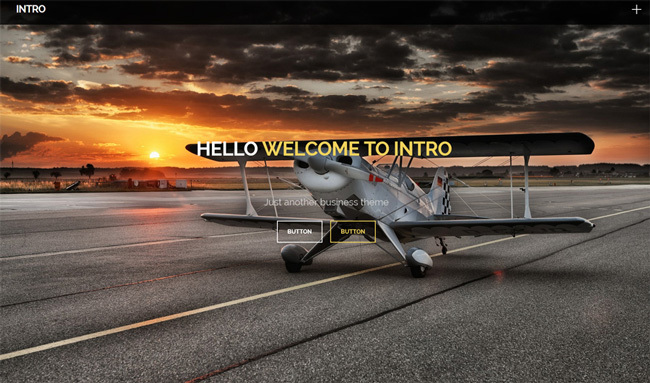 Intro is a modern business theme suitable either for companies or individuals. Its features list includes a parallax header, a selection of Google Fonts, custom colors, pre-made widgets for front page building, social icons, blocks for easy home page setup and more. This free, SEO-friendly WordPress theme boasts clean aesthetics that bring the content into focus. Its mobile-friendly layout features a responsive slider and multiple widgets for recent posts, tags, categories, archive, search, etc. The theme provides full customizability, allowing you to adapt its design to all your needs. 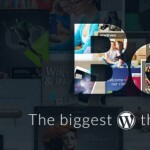 Our blog post, as well as the collection of free WordPress themes, has now come to an end. You know what we want to ask you, don’t you? How did you like this freebies compilation? Have any of them caught your eye? Please leave your feedback in the comment section below. It would be highly appreciated! And if you’re looking for free guides on how to build a website with WordPress, check out WordPress Startup. This resource has answers to the questions like ‘why WordPress could be a nice solution for you’, ‘how to install a WordPress theme’, etc. Learn and remember that building a WordPress site is not necessarily hard or expensive. Good luck!